This second week we need to look to the future with 4 new videos (those were excelent, like the past week ones). The 2 first videos "A Day Made of Glass 2" and "Productivity Future Vision" show us a perfect world where technology makes our life and being in contact with other people easier. But it's necessary to notice those worlds are made for high class people (and private schools) with a standard family (mother, father and daughters). I like the technology these videos show, but I think they will only benefit rich classes and will make the gap between them and the lower classes more obvious in our society. We need the hability to find a technology that helps everybody. The next video could be the continuation of the first two. It shows a technified society that knows everything about everybody. This film makes me think about "Minority Report". Besides reducing inequalities, technology should not make people lose their privacy. NOTA: Este post fue publicado originariamente en TrendTeach por la misma autora. Privacy is one of my major concerns about social networks. I really like to keep my privacy, and that is why I do not have a Facebook account nor I intend to have one in the near future. We need technology to bridge the gap between rich and poor but I am quite sure, with current prices, a netbook or a tablet has become accesible to almost everybody. Maybe we should start worrying about rising food prices. 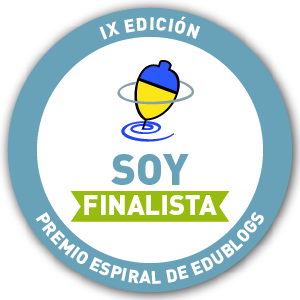 Muchas gracias por comentar en el blog, todas las aportaciones son bienvenidas y me ayudan a seguir adelante con ello! 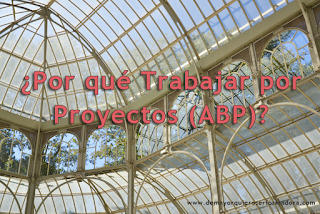 Por qué Trabajar por Proyectos (ABP)?